Put all the ingredients exept the mentsuyu on rice. Rich sea urchin and smooth body of the squid, mild rice mold, and kazunoko. 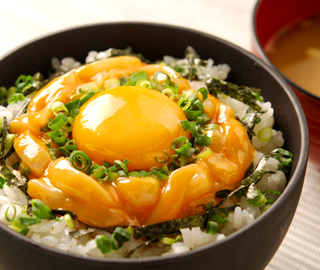 The squid’s texture and the sea urchin and rice mold’s sweetness, the crispy kazunoko is a perfect balance. The aroma and vivid orange is from natural coloring.